Ascent 121 provides both community based and residential services. All clinical work is trauma-informed and strengths-based, using best practice service standards. Meet the team that makes up our clinical and administrative staff. Ascent 121 is contracted with the state of Indiana to provide comprehensive diagnostic and evaluation services for youth who are victims of, or at risk for, human trafficking and commercial sexual exploitation. The evaluation process includes comprehensive interviews with the child, his or her family and collateral contacts. We perform record reviews and use assessment tools that measure trauma, substance abuse, elopement risk, exploitation screening, as well as and executive and intellectual functioning. Additional psychological testing is available upon request. Survivors of commercial sexual exploitation often suffer from complex trauma symptoms including shame, fear and trauma bonding. 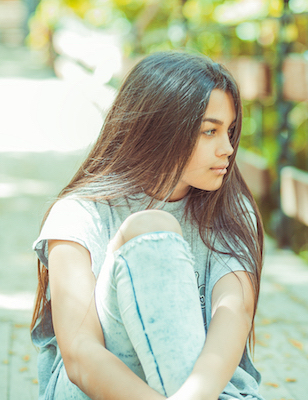 Youth identified as victims often disclose more quickly than those who simply exhibit red flag indicators such as a chronic history of running away, older boyfriends, substance abuse, prior history of sexual trauma, unexplained cash or items of value. Disclosures often require a series of structured and specialized interviews that incorporate shame reduction, education, and extensive rapport building. The evaluating therapist may request additional interviewing hours. A comprehensive evaluation report that includes on-going treatment recommendations will be provided to the referring agent. We provide home-based therapy and casework for survivors of sexual exploitation/human trafficking. Services take place primarily in the home and include individual and family therapy. The intensity of therapy varies based on risk and need, with ongoing assessment of progress. Clinicians focus on complex trauma, risk reduction, awareness, family cohesion, attachment, self-sufficiency, as well as other treatment targets identified by individual need. Safety plans, case coordination and network referrals are a standard practice. All clinicians are masters level professionals with training in both trauma informed care and commercial sexual exploitation of youth. Ascent 121 provides education and awareness training for DCS and probation staff. We are happy to visit your agency to discuss issues including topic awareness, screening, trauma bonding and the unique treatment needs for exploited youth. Ascent 121 is also available for consultation on case-specific issues.